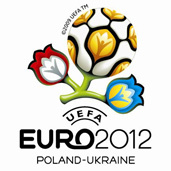 After a stuttering start, Poland has, unlike Ukraine, finally gained the confidence of UEFA, the governing body of European football, which recently confirmed that four Polish cities will host matches during the Euro 2012 football championships. Following early delays, Poland is likely to have acceptable stadiums in six cities, and the airport and hotel infrastructure looks to be in good shape as well. The problem, as ever in Poland, is with building a modern system of highways and expressways that would allow fans to move easily from venue to venue. When UEFA took the unusual and risky step of awarding the championships to Poland and Ukraine two years ago, the right-wing government of the time promised to build 3,000 km of highways and less expensive and slightly slower expressways by 2012. The man in the hot seat now is infrastructure minister Cezary Grabarczyk, who is coming under increasingly intense pressure from Donald Tusk, the prime minister, to ensure that the road programme is not a disaster. Grabarczyk has already toned down his predecessor’s promises, admitting that 2,000 km is more realistic, but even getting that amount completed by 2012 would break Poland’s longstanding inability to build roads speedily. While much of the rest of Central and Eastern Europe – including non-EU countries like Croatia – have dramatically increased their highway mileage, Poland has lagged far behind. Poland’s dreadful roads are one of the signal failures of the last 20 years of democratic government, as administrations of both the left and the right have proven unable to break through inertia and bureaucratic obstruction and rapidly build a highway system. Poland has only 435 km of expressways and 765 km of higher-grade highways, and a chunk of that was not new road but a refurbishment of highways build by Adolf Hitler in the 1930s. By contrast, Spain manages to build an average of about almost 500 km miles of highway a year. He had better hope so, because if not, the consequences for his own political career and for his Civic Platform party could be dire. But transportation experts are less sanguine about the pace of construction. Adrian Furgalski, a transportation expert with TOR, a Warsaw consultancy, worries that even the pared down 2,000-km programme is unrealistic for a country that has rarely been able to build more than 100 km of highway a year. “I think 500 km of the government’s programme is in danger,” he says, adding that included the crucial bit connecting Warsaw with the central Polish city of Lodz. That is where Grabarczyk filmed a campaign ad for the 2007 elections, entitled “Looking for the lost highway,” which showed him clad in a blue helmet as he scrambled through brush and over dirt roads looking for where the Poland’s main east-west highway should be. “Is this what roads are supposed to look like in our country?” he says, pointing to a small road disappearing into a forest along the route of oft-promised highway. Building highways is about more than making life easier for fans during the two-week tournament. Investors have been put off by the lack of a decent highway network. The current system of narrow roads clogged with transport trucks wending their way through the hearts of towns and villages also exacts a toll in lives. Poland has more than 5,000 traffic deaths a year, a per-driver rate that is more than double the EU average. Grabarczyk is confident that the country has turned the corner. Currently, 475 km of highways and express roads are under construction and the government has signed contracts to build 770 km, with more contract signings planned over the coming months.